Vodafone Essar , and Research In Motion (RIM) today announced the launch of the BlackBerry® Bold 9700 smartphone for Vodafone customers in India. The sleek and stylish BlackBerry Bold 9700 smartphone delivers powerful communications and multimedia applications with outstanding performance, giving Vodafone customers an exceptional mobile experience. The new smartphone is expected to be available at Vodafone stores across India on January 29, 2009 and priced at Rs. 31990*. “Further to the immense success of the BlackBerry Bold 9000 launch, we are delighted to introduce the latest BlackBerry Bold 9700 to Vodafone customers in India. This launch reiterates our commitment towards providing our customers with superior products and services, which enables them to balance their professional and personal lives,” said Kumar Ramanathan, Chief Marketing Officer, Vodafone Essar Ltd.
“We are very excited to introduce the BlackBerry Bold 9700 in India. This best-in-class smartphone will certainly appeal to Vodafone customers, offering a sleek and elegant design packed with powerful communications and entertainment features,” said Frenny Bawa, Vice President, India, Research In Motion. The BlackBerry Bold 9700 supports 3G HSDPA networks around the world and is equipped with a performance enhancing next-generation (624 MHz) processor and 256 MB on-board Flash memory. 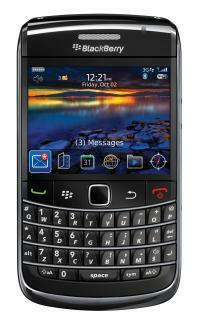 The exciting new BlackBerry Bold 9700 features built-in GPS and Wi-Fi, a 3.2 MP camera with video recording and a sharp, dazzling display. The dark chrome frame and leatherette back add to the new smartphone’s sleek and elegant look, while the narrow profile, balanced weight and soft-touch sides allow it to feel incredibly comfortable in one hand. The BlackBerry Bold 9700 also supports BlackBerry App World which features a broad and growing catalog of mobile applications developed specifically for BlackBerry smartphones. Categories include games, entertainment, IM and social networking, news, weather, productivity and more.